This band is near and dear to me, because its name originated from the same source as mine. That would be the Book of Joshua. For that reason, I was very interested in seeing what would become of a band with such an endearing name. It's also interesting to point out that this is the first band Rick Wakeman signed to his label. If that's not enough, Neal Morse makes a special guest appearance and Randy George, Neal's cohort in crime for the Testimony project, is part of the permanent staff. Upon listening, I was immediately impressed with their instrumentals as well as the vocal passages. It seemed they could do little wrong. The album seems to be balanced between the two and never gets overly burdened by one technique over another. It also seems its main members (Randy George and Wil Henderson) are multi-instrumentalists, switching between vocals, guitars, bass, and keyboards. Where their abilities end, they are quick to borrow from other talents in the genre (Phil Keaggy, Taylor Mesple, Brian Adderbury, Rick Wakeman, Lisa Green, W. Mark Wilson, Jeremy Cays, and Neal Morse). Also, let's not forget, Dan Lile, who reliably provides the drums on all, but one, of the tracks. With influences such as Yes, RWPL, and even IQ, it should substantially cover a wide pool of potential fans. In case you were wondering, there are religious undertones in the tracks, but I'd say they are mild to moderate. This may be a turn off to some people and it's the kind of thing to show up on my radar, but to be honest, it never really becomes a problem. Aside from singing about the Holy Ghost, much of its content is spiritual in nature, making it accessible to all cultures, creeds, dogmas, and doctrines. The compositions are filled to the brim with instrumental wonder. Whether it's a piano, harmony, or some other instrumental solo, there is always something present to plug up the space. You will find your brain excreting endorphins for its entire duration, which is good, because this album is a great place to lose yourself in. The album starts with a solid opening track. It's completely instrumental, ultra-progressive, and very symphonic. The Irish whistle and the Bodhran (I had to look it up, but that's a Celtic Traditional Drum) bring forth images of Hobbits dancing in the Shire. Don't bother counting the calories as it is drenched in dressings filled with keyboards, guitars, and bass. The singer, Wil Henderson, sounds like a combination of John Denver, Jon Anderson, and Neal Morse, finding his range somewhere in between. He soars through the high notes and gingerly glides over the lower ones. His voice tiptoes with the elegance of Fred Astaire. He is really quite the singer. In a song that is straight-up pop for most of its existence, its fading moments linger closest to RWPL. If this song was situated on an Asia or Toto album, I doubt anybody would ever know it was out of place. Okay, maybe the spiritual lyrics would be a great-big giveaway. I like the guitar solo tinted with specks of Kamelot and Queen. This is a royal serving of AOR, but make no mistake; it's not medieval by a long shot. It would take a catapult to clear its melodious moat. While it begins in the most accessible manner, it ends on a neo-prog plateau where the deer, antelope, IQ, and Pendragon roam. This is Don Henley's "End of the Innocence" with a dash of Celtic folk. Wil's singing is definitely on par with Don while the instrumentalists find themselves somewhere in the ballpark of this well-known hit. To add weight to a piece that already has plenty of gravity, Phil Keaggy lends his talents in an acoustic guitar solo during the closing section. Also on this piece, Brian Adderbury sits in for Dan Lile on the drums. This is a peaceful prayer in the mode of pop. This is the sort of theme I'd expect from Neal Morse's Testimony with a style akin to Neal's earlier solo work. The design used in Neal's self-titled debut as well as the blueprints applied to his sophomore release (It's Not Too Late) seemingly bubble to this song's surface. There is no question Neal has affected the songwriting of the band as well as Wil Henderson's singing. With cleverly integrated keyboards and heavenly harmonies, this is a sincere plea for spiritual awareness. While most people tend to be turned off from self-righteous or preachy sermons, this is far from pushy. The message is toned down and friendly, making it universally acceptable. Like "The Promised Land", this is an acoustic number in the vein of John Denver. What makes it modern and innovative are Wil Henderson's bass and Randy George's keyboards coupled with the heavenly harmonies set forth by Lisa Green. If not for the symphonic elements, this would certainly qualify as Country. Again, Wil successfully duplicates Neal Morse's voice here. The qualities in their voices are strangely similar. It's so close you'd think this copy came fresh off the facsimile. In the opening of this song, it's almost as if Wil is chanting a prayer. His cantering concludes and the music once more takes on more of a pop direction. This has passages that sound like RPWL, Simon Apple, Toto, and Asia. 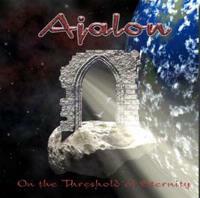 Like those groups, Ajalon has a way of taking simple repeated riffs and overlapping them to create enchanting spells. Rick Wakeman's keyboard solo has charm while the guitar solo by W. Mark Wilson shares the very same charisma as Little Atlas' Roy Strattman. We are also treated to several breakaway bits by Randy George on piano and bass. In addition, Jeremy Cays' Irish Whistle has a great influence over this piece. To round out the evening's prayer service, it ends with the opening monologue that started this shtick. For me, this is the best song on the album. It's an epic with a bounty of bodacious themes. Each one is carefully integrated into the bunch in order to make this one comprehensive and cohesive cut. Finally, Neal makes his grand appearance and the vocal contributions that we've all been waiting for are truly excellent. It's intriguing to hear him on somebody else's song, but listening to the composition, I'm sure he had some influence on how it was ultimately arranged. His voice is so close to the lead singers in many spots, it is hard to make out who is who. Regardless, they go very well together in the harmonies. It may end the main part of the album, but this a place where I assume most listeners will reside the longest due to its length and sheer brilliance. Coincidence or not, its conclusion sounds awfully close to Transatlantic. At this point, we also get an infinitesimal amount of IQ along with the smallest increment of ELP. Not sure what it is named as it isn't credited beyond the smallest subscript, but this is a track from Justin Hayward and Graeme Lodge. It sounds like Ty Tabor, The Beatles, and Roy Orbinson's Pretty Woman all rolled up into one. It's a nice addendum to follow after the solid core of the album. While it may have been an afterthought, it's a blessing in disguise that works well to complete the compilation. As a whole, the foundation of this album is neither made of haughty hay nor fragile sticks. This is heavy-duty material as concrete as brick and mortar and you'll feel safe within its borders. Once it finishes, it won't be too long before you're knocking on the door, asking to be let back inside. During my stay, the time passed very quickly. It's like a winter weekend wrapped in a warm blanket on a La-Z-Boy recliner roasting my toes in front of a toasty fire. Listen to the music and enjoy the peace within its protective passages. While Joshua blew down the walls of Jericho, the army of Ajalon is sure to blow you away.